These look great in my new kitchen - really make a great statement for a great price! 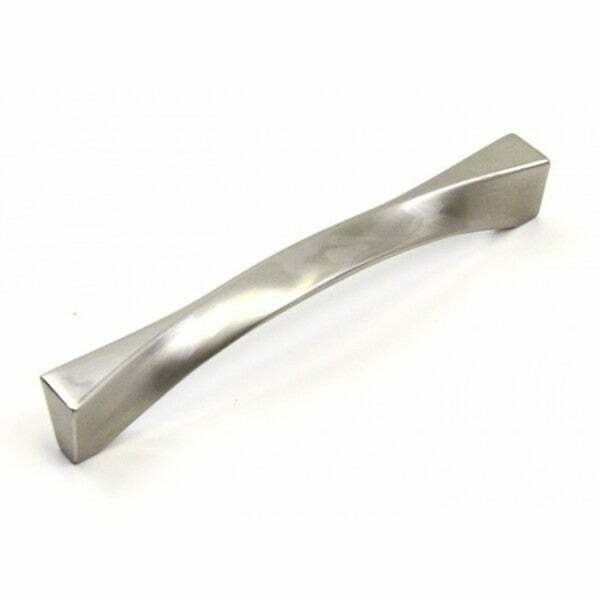 The 6.5-inch long Twist Design Bar Pull Handle is designed for use on bathroom or kitchen cabinets. These bar pulls are crafted of solid zinc alloy material with a stainless steel brushed nickel finish. Brushed nickel bar handles are a nice weight and are as shown. I love it -- they are the jewelry of my kitchen Superb! Can’t give enough stars for these handles. I purchased them for my clients newly refinished cabinets and they make a strong but soft statement in the room. My client loves them too! They are weighty and substantial. We like the look and feel.